Once again we were visited on air by non other than the legendary Dr. Umar Johnson. As alot of you may know if you heard the interview live, Dr.Umar makes his returns to Detroit Friday December 30th at New Mt.Moriah Baptist Church, 586 Owen Street. The even will take place from 6pm til 8pm (doors@4pm). Besides the event, we spoke with brother Umar about several things including allegations surrounding the mismanagement of funds donated to the FDMG Academy. When asked, Dr, Johnson also told us whether he would be interested in partnering up with black origination’s in black cities around the country in regards to obtaining funds and resources to open the school. 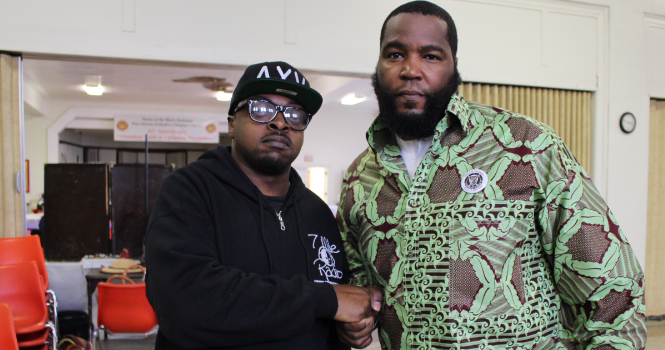 During the interview, Dr. Umar made it very clear that comparing him in any way to many of the popular “Street Scholars” that many have come to know via YouTube and other media outlets is unacceptable and will not be tolerated. He goes on to explain exactly why he is “The Most Requested Speaker In the Conscious Community In All 6 Continents” (because Europe and Asia are combined now according to most geographers and scientists, due to the 2 former continents being one solid landmass. For those who thought the brother was slippin’ up during the interview) Donald Trump, The black dollar and many other things were on the menu during the conversation. Check out the live feed of the interview below, followed by listeners who called in with their views and opinions of things said during the conversation that lasted well over an hour.